When you apply for a visa to Europe, the photos are among the vital requirements for the completion of your application. No matter what visa type you apply for, you will always be required to submit two photos, alongside with the other documents. Schengen states have gone a step further and specified in detail all of the photograph requirements for a Europe visa. 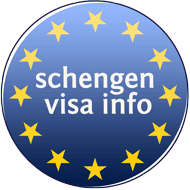 Following in this article, you can find all of the Schengen visa photograph requirements and specifications elaborated in a clear and understandable way. The Schengen visa photograph size is static and unchangeable. Both photos should be 35mm in width and 45 mm in height. Acceptable format involves visibly showing facial characteristics of the applicant, from the tip of the chin to the top of the head, counting both, left and right, sides of the face, while the face is positioned in the center of the photo. 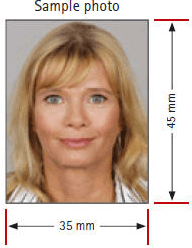 About 70-80% part of the photo must be filled by the applicant’s face, with an acceptable face height of 32-36 mm, not forgetting to completely show applicant’s head, including hairstyle. All photograph submitted in different size other than the specified Europe visa photo size may cause the rejection of a Schengen visa application. Allowable form to show face of the applicant in the photo is being visible and sharply focused, having a strong contrast. Avoid having a photo that is too blurring, too bright or with a poor contrast. The accepted brightness in the photo is when it is uniformly spread all over the face. It is crucial completely avoiding reflections, shadows, and red eyes. Avoid having a colorful, patterned, or shadowed photo background, as the acceptable form is a one color, ideally neutral grey, background that is bright and gives face and hair the needed contrast. Be aware that photo must be printed in a high quality paper and printing resolution of at least 600 dpi, as the only accepted form. The skin tone of the applicant must be natural while the entire photo must be neutral, avoiding creases and layers. Avoid keeping your head neither turned or at an angle or opening mouth. The only accepted form to pose is by keeping a neutral look with eyes focused directly on camera with a mouth closed. When you pose for the photo, ignoring to focus your eyes in the camera or closing them or putting your hair across eyes is intolerable, as the accepted way posing is by entirely looking straight into the camera, with fully open eyes and not covered by hair or else. When you pose, avoid putting sunglasses, dark optical glasses, optical glasses that have frames covering your eyes, and similarly, avoid flash reflection. The only accepted photo with optical glasses on is when the applicant’s eyes are fully visible and not covered by glasses’ frame. Avoid posing with a hat, headwear that covers your face, or having your face shadowed by headwear, as none of them are allowable. The only exception is for religious headwear, and even then, the face must be clearly visible from the lower tip of the chin to the forehead. Are the same photo requirements for all Schengen countries? Yes, the visa photograph requirements and specifications are the same for every member of Schengen Area: Austria, Belgium, the Czech Republic, Denmark, Estonia, Finland, France, Germany, Greece, Hungary, Iceland, Italy, Latvia, Liechtenstein, Lithuania, Luxembourg, Malta, the Netherlands, Norway, Poland, Portugal, Slovakia, Slovenia, Spain, Sweden and Switzerland.